Keep a tight seal on your leftover wine with the Prodyne Vino Duo wine bottle stopper. This stopper is made of silicone, which is flexible to give it a secure seal to keep that bottle of wine fresh. 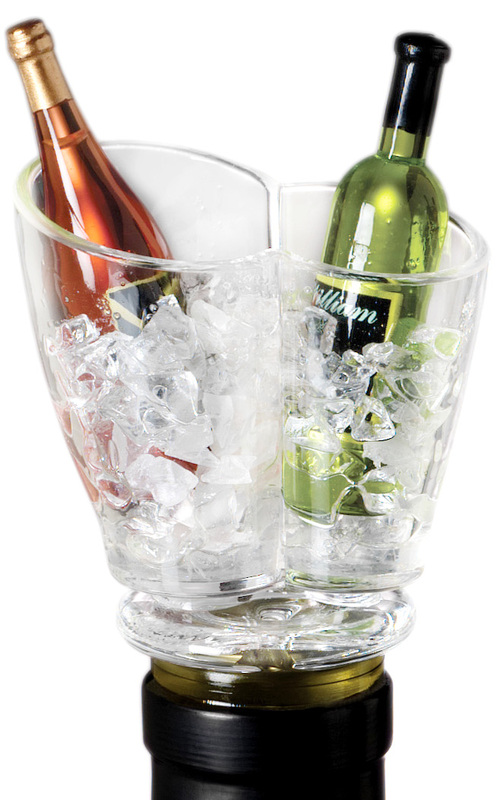 The hand decorated design on top features a clear acrylic ice bucket with a bottle of blush and a white wine sitting on ice. Perfect for serving wine during a gathering, it will work with any standard bottle of red or white wine.